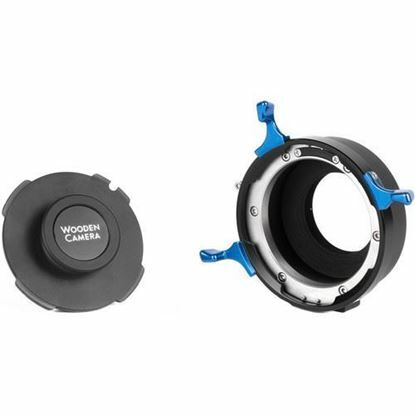 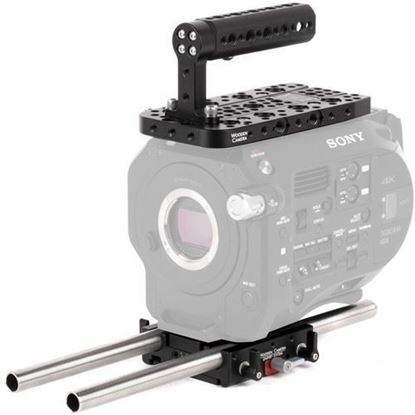 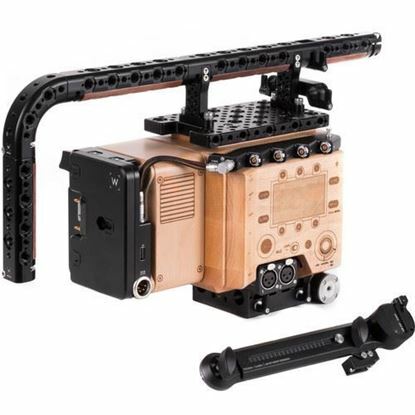 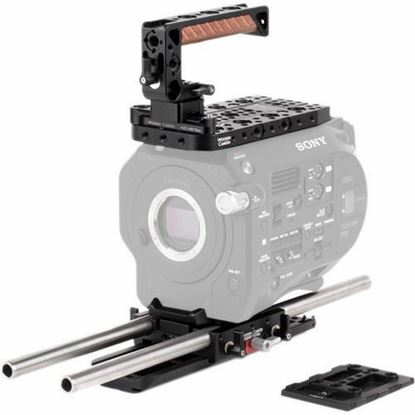 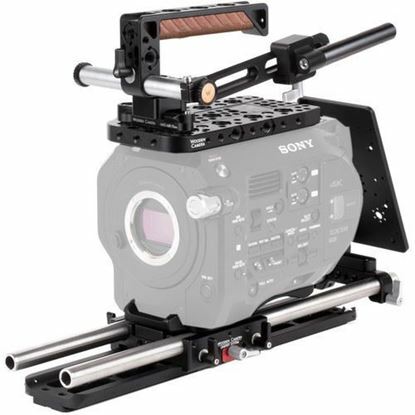 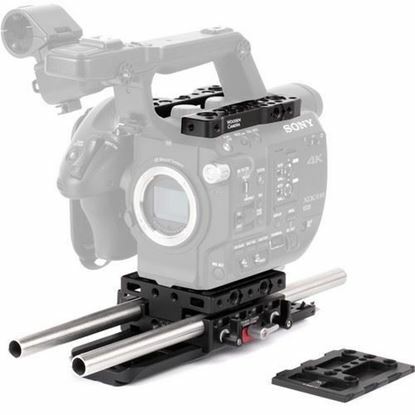 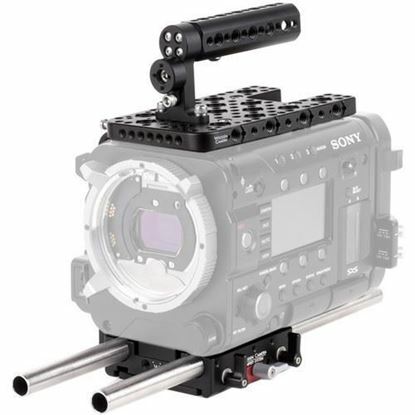 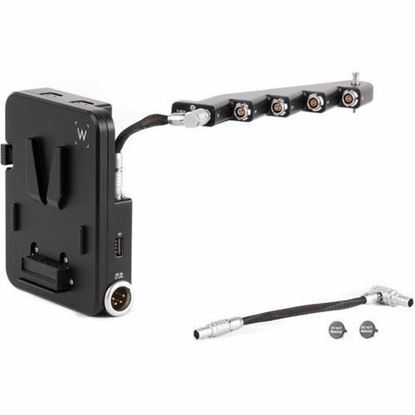 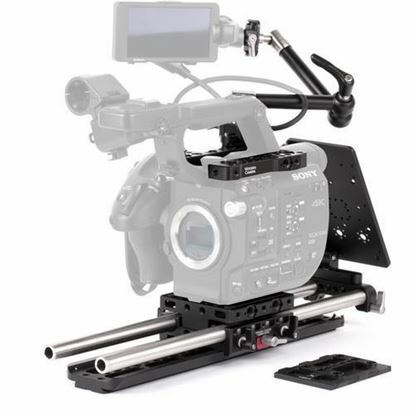 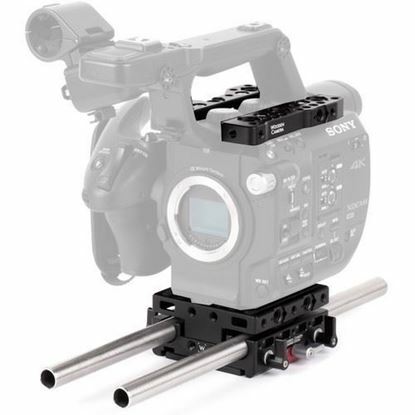 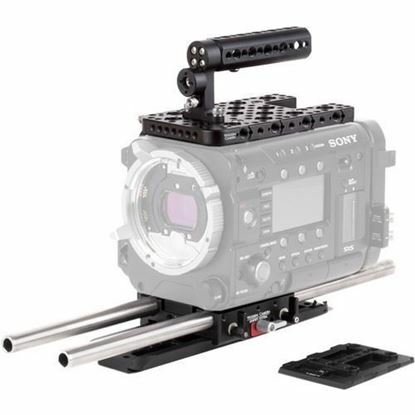 The Sony FS7 Unified Accessory Kit (Base) from Wooden Camera is a professional camera support kit designed for the Sony PXW-FS7 Camera and utilizes the Unified Baseplate System. 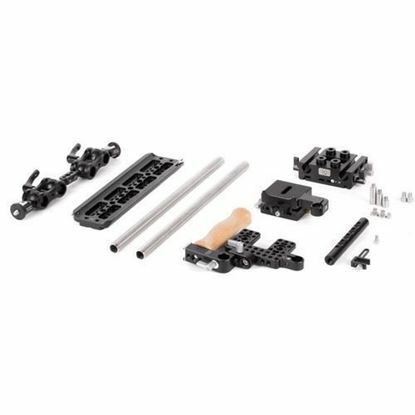 The kit includes top plate, unified baseplate, two 15mm rods (12”), and top handle (cheese). 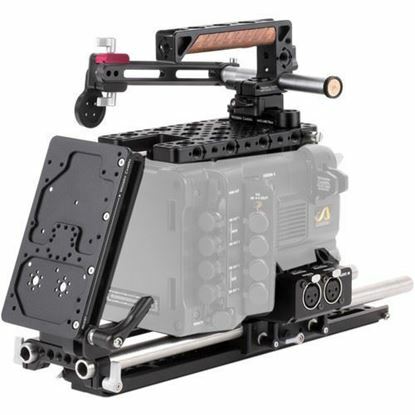 The top plate is a top mounting camera cheese plate for accessory attachment. 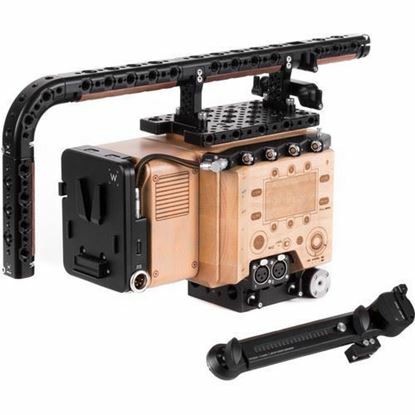 The unified baseplate is a quick-release camera baseplate for holding the two included 12” long 15mm rods at the correct lens height. 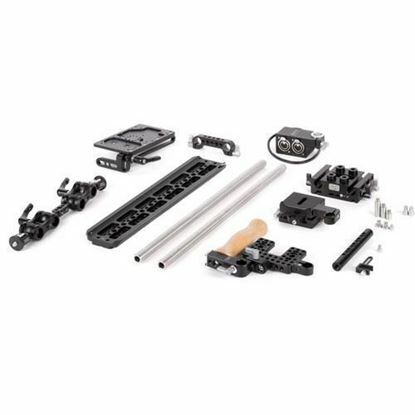 The top cheese handle is a bolt-on top handle that attaches to the top plate and has multiple mounting points for accessories.